Peer-led research reveals how to make peer support a highly effective addition to mental health services. On Thursday 8th Febuary, peer-led charity Inclusion Barnet launch new research which reveals how to make peer support an effective addition to mental health services. The report finds that in order to be effective, the implementation of peer support must be accompanied by an understanding of how the values of peer support can be embedded within the working contexts of each individual team and service. The report also explores those values, capturing the principles of person-centred practice at the heart of peer support. Peer support is a fast-moving global trend in mental health service delivery; the numbers of people who have experienced, and learned to manage their own mental health difficulties, being employed to support others facing similar struggles, grows year on year. Yet, peer support remains a controversial and contested practice. It has often fallen foul of those who are suspicious of a trend which places value on “lived experience” rather than professional qualifications and attaches value, rather than stigma, to the experience of mental-ill health. Even those who advocate for its efficacy agree that its specific benefits are difficult to identify and describe, let alone deliver and quantify. 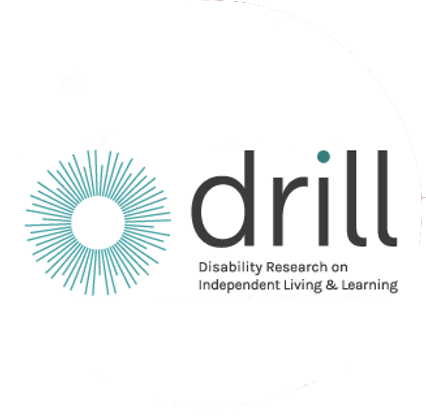 Inclusion Barnet’s research was funded as part of the DRILL (Disability Research on Independent Living and Learning) programme, the world’s first major research programme led by disabled people. The resulting research sheds new light on what is valuable about peer support and how it can be implemented as an effective form of practice. It shows that embedding a ‘counter culture’ of practice such as peer support within traditional statutory organisations requires skill and strategic planning, as well as an understanding of how to translate the values of peer support into everyday practice interactions. It lays out the blue-prints for implementing effective peer support for organisations that are new to peer support or are struggling to get it right. The report is based in a qualitative study, using interviews with 36 peer support workers and their colleagues from all over the country and from different sectors. It includes a thoughtful exploration of what peer support is and the benefits of using lived experience in service delivery. It also includes clear recommendations for the implementation of peer support within organisations: including strategic planning, recruitment and supervision. Dr Julie Repper, Director of ImROC (Implementing Recovery through Organisational Change) says: “This report captures so much that is unique and important about peer support and contains some very useful recommendations. I want to make it essential reading for all of our peers and their teams”.